Provide solutions that help organizations solve their data challenges, enable machine learning and data science workflows or offer SaaS based capabilities that enhance end applications with machine intelligence. AWS Machine Learning Competency Partners provide solutions that help organizations solve their data challenges, enable machine learning and data science workflows or offer SaaS based capabilities that enhance end applications with machine intelligence. AWS Machine Learning Competency Partners demonstrate that their organization has deep expertise in Machine Learning experience on the AWS platform and can deliver their organization’s solutions seamlessly in the AWS Cloud environment. AWS provides a broad portfolio of managed services for data analytics, along with a vast partner community to help you build virtually any big data application in the Cloud. However, customers often ask us to show them the big picture: How to put all these pieces together so that they can explain it to all their stakeholders. This PDF visually depicts the flow of corporate data when used for Advanced Analytics and Machine Learning. And the video will show you how to use the poster to build a narrative that can be used in cross-functional meetings involving both technical and business stakeholders - from developers and data scientists, to line of business and senior executives. APN Partners providing solutions or services that help data scientists and machine learning practitioners prepare and/or annotate their enterprise data for training of a predictive model. 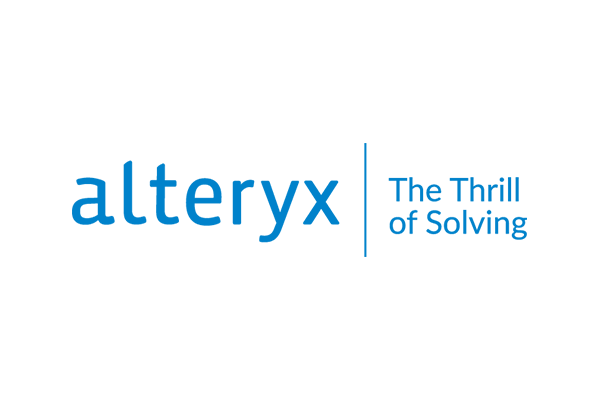 The Alteryx platform is self-serve, click, drag-and-drop for hundreds of thousands of people in leading enterprises all over the world. Figure Eight is the essential Human-in-the-Loop Machine Learning platform using machine learning assisted annotation solutions to create the high-quality training data needed by models to work in the real world. Figure Eight supports a wide range of computer vision, data categorization, sentiment analysis and natural language processing use cases for autonomous vehicles, chatbots, robotics, voice assistants, at scale, having generated over 10 billion training data labels for real world AI applications. Paxata Adaptive Information Platform for AWS delivers an interactive, visual, analyst-centric data preparation experience powered by a unified set of technologies for comprehensive data integration, data quality, semantic enrichment, collaboration, and governance. Paxata helps data scientists and ML practitioners quickly and effortlessly prepare their data for building, training and tuning models through an interactive, visual, and intelligent data preparation experience at scale. Scale data science across your organization to solve complex challenges faster and speed innovation with TIBCO® Data Science for AWS Marketplace, a collaborative platform for operationalizing data science. Access Amazon EMR and RedShift and enable data scientists to create innovative solutions using the latest machine learning techniques and innovations from Amazon SageMaker. Create data prep and ML pipelines using a point-and-click UI or Juypter Notebook. Orchestrate analytics using the tools, languages, and frameworks of choice. Then, deploy, manage, and govern models across distributed environments to deliver insights you can trust and act on with confidence. As the adoption of ML and AI continues to accelerate, the demand for well-structured, clean data becomes even more critical. Trifacta accelerates the process of exploring and preparing data for use in machine learning initiatives. Trifacta Wrangler Edge on AWS makes the process of wrangling diverse data faster and more intuitive. Trifacta enables data engineers and analysts to efficiently explore and prepare diverse data by utilizing machine learning to provide a breakthrough user experience, workflow and architecture. APN Partners enabling data scientists and machine learning practitioners with tools to take their data, train predictive models and make predictions on new data. The ABEJA platform is an innovative AI platform consisting of cutting-edge AI technologies ranging from IoT to Big Data to Deep Learning. ABEJA Platform is an advanced AI platform techonology, which promotes the utilization of all kinds of data by tackling technological problems that will become more complicated and serious in the future. 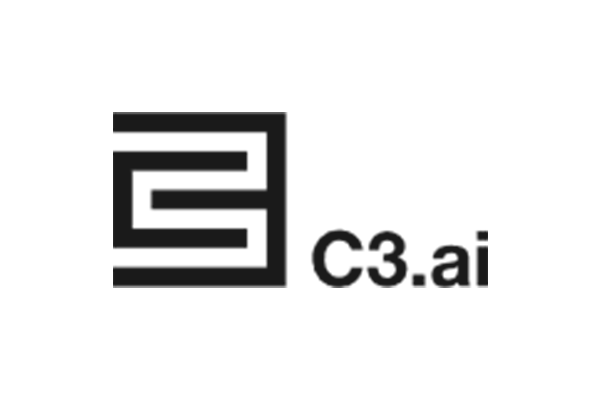 C3.ai delivers a proven PaaS that leverages the full power of AWS. We enable organizations to develop and operate next-generation IoT and big data SaaS applications. Launch expertly-tuned Spark clusters with a few clicks. Databricks Spark clusters are fully managed and automatically scale to your workload so you can focus on your data instead of DevOps. Create, test and deploy models instantly. Databricks is one of the fastest analytics platform from the creators of Apache Spark. The Databricks Unified Analytics Platform enables data scientists, data engineers, and analysts to easily collaborate to accelerate innovation. Dataiku develops a collaborative data science platform that enables companies to apply machine learning to all types, sizes, and formats of raw data, for building and delivering their own data products more efficiently. Dataiku DSS is a data science platform offering a collaborative user interface for data scientists and beginner analysts, a unified framework for both development and deployment of machine learning projects, and immediate access to all the features and tools required to design new data products. DataRobot for AWS offers an enterprise machine learning platform that empowers users of all skill levels to make better predictions faster. Companies of all sizes can deploy and scale DataRobot Cloud on AWS or on their Amazon VPC. DataRobot captures the knowledge, experience and best practices of the world's leading data scientists, delivering unmatched levels of automation and ease-of-use for machine learning initiatives. DataRobot enables users to build and deploy highly accurate ML models in a fraction of the time. AWS provides world-class infrastructure and security, while Domino adds capabilities specific to data science workflows. The result? Data scientists develop and deploy models faster. Their teams deliver sustained business value at scale. Domino accelerates the development and delivery of models with key capabilities of infrastructure automation, seamless collaboration, and automated reproducibility. This greatly increases the productivity of data scientists and removes bottlenecks in the data science lifecycle. 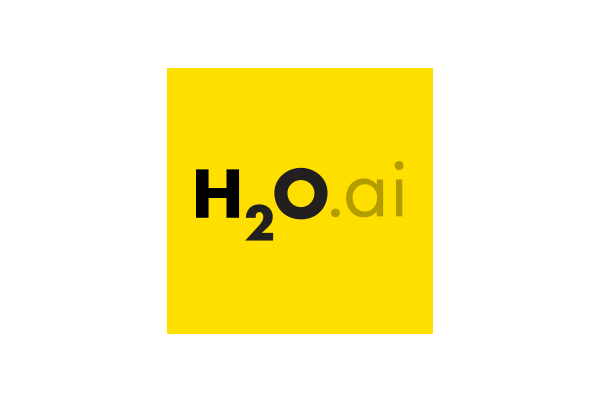 H2O is a fully Distributed In-Memory Machine Learning platform that supports the following algorithms: GLM, Distributed Random Forest, Gradient Boosting Machine, Deep learning, K-means , PCA, and more. It is extremely easy to use from R, Python & H2O Flow. H2O.ai is focused on bringing AI to businesses through software. We are one of the leading open source platforms that makes it easy to deploy ML and predictive analytics to solve complex problems. Qubole provides a single platform to prepare data for machine learning. Qubole provides data scientists with an integrated platform to deploy machine learning at scale. Using Qubole, data scientists prepare data and train ML algorithms leveraging open source ML libraries (Spark, MLib, MXNet, Tensorflow, Python, or R) leveraging Notebooks for collaboration and deployment. APN Partners offering solutions that enable predictive capabilities within customer applications. Anodot illuminates data blind spots with AI analytics, so you will never miss another revenue leak or brand-damaging incident. Anodot continuously analyzes all business data, to detect the business incidents that matter, and identify why they are happening by correlating across multiple data sources. Luminoso AI provides automatic training of models in minutes from raw untagged text, and requires a fraction of the data as compared to other AI options for understanding of unique concepts, relationships, drivers, real-time classification capabilities. Luminoso Technologies enables clients to rapidly analyze text-based data in 13 languages. Data from streaming sources can be categorized and labeled in real-time using Luminoso Compass. Clients rely on Luminoso Analytics for deep analysis of batch data. Quill learns and writes like a person, automatically transforming data into Intelligent Narratives insightful, conversational communications full of audience-relevant information. Quill is deployed as Saas, on-prem or via API with BI platforms. 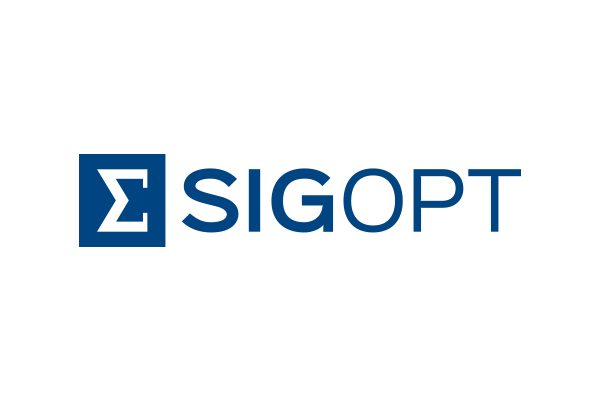 Optimization-as-a-Service platform that tunes AI, ML, and simulation model configuration parameters via an ensemble of optimization algorithms behind a simple API. This results in better models and reduces the time and cost of optimizing new models. aiWARE with its powerful applications enables users to process, organize, search, analyze, and extend their cognitively-enriched content. aiWARE currently offers more than 120 AI engines across the spectrum of cognition with hundreds in the pipeline. 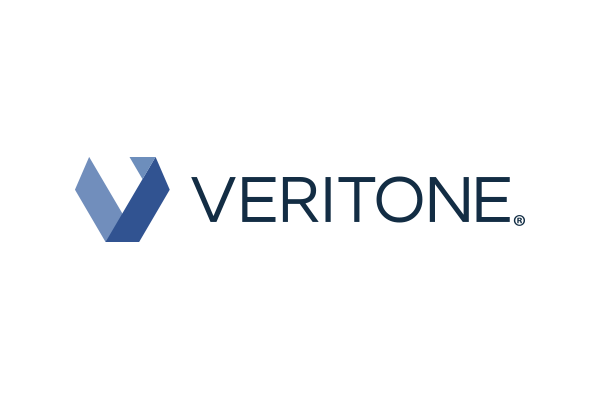 Veritone is a leading artificial intelligence company that has developed an open operating system for AI called aiWARE. aiWARE unlocks the power of AI-based cognitive computing to transform and analyze unstructured public and private data into actionable intelligence. By taking over the tedious job of scheduling meetings, x.ai enables organizations to save time and money by having our AI assistants Amy and Andrew schedule meetings for each employee. x.ai makes an artificial intelligence personal assistant who schedules meetings for you. There's no sign-in, no password, no download; all you do is CC our assistants Amy and Andrew into your email thread, and they take over the tedious email tasks that come along with scheduling a meeting. APN Partners demonstrating that their organization has deep expertise in Machine Learning experience on the AWS platform and can deliver solutions seamlessly in the AWS Cloud environment. 47Lining empowers data-driven businesses to unlock the elasticity and price/performance benefits of AWS. 47Lining architects solutions that address traditional data warehousing, Internet-of-Things analytics back-ends, predictive analytics and machine learning to open up new business opportunities. Their experience spans use cases in multiple industries including energy, life sciences, gaming, retail analytics, financial services and media & entertainment. 47Lining offers a variety of customer engagement models spanning proof-of-concept, build and managed big data services. Accenture brings together the power of Artificial Intelligence and Analytics while applying our deep industry knowledge and technology expertise to help our clients get real business value from these new technologies now. By embedding AI at the core, Accenture Applied Intelligence helps clients transform every facet of their business to become an Intelligent Enterprise. We focus on creating the right solutions to deliver new client value at speed. Through our global ecosystem, we take clients from ideation to industrialization with strategy, industry, data, data science, design and technology expertise. This end-to-end delivery at scale is what makes us different. Cloudwick is a leading enterprise big data-as-a- service provider with experience managing over 75,000 big data clusters (including transient clusters) on AWS. Cloudwick has years of experience architecting, scaling, and managing production enterprise big data services, including data lakes, data warehouses and machine learning deployments. Its services, including&nbsp;big data, cloud, advanced analytics, business intelligence modernization, data science, big data pilot-to-production, IoT, mobile application development and more, enable data-driven enterprises like 3M, Bank of America, Comcast, Home Depot, Intuit, JP Morgan, NetApp, Target, Visa, and Walmart to accelerate business and gain competitive advantage. Crayon AI team consists of highly qualified data scientists and developers with expert experience within the field of AI and deep learning. Crayon provides AI Advisory, Advanced Analytics, and Machine Learning services across all industries. They enable clients to realize the full potential of AI by providing executive level AI insights and capabilities, as well as building company-specific solutions by using state of the art analytics and ML methodology such as deep learning, computer vision, and natural language processing. Deloitte’s Cognitive Advantage offerings are designed to help organizations transform decision-making, work, and interactions through the use of insights, automation, and engagement capabilities. Our offerings are tailored to be industry-specific and powered by cognitive platform. Deloitte helps clients design, build and run insight driven organizations by helping to maximize the potential value of analytics and information to deliver operational excellence, new products and services, competitive agility, and growth. Analytics and Information Management (AIM) services offers an integrated approach with our broad range of solution offerings including: shape strategy, manage data, deliver information, improve performance, optimize insights, amplify intelligence, build capabilities, and manage environments. ECS enables advanced ML solutions and expertise to meet customer's mission critical needs. At ECS, the certified cloud solution architects and expert data scientists create advanced ML solutions and capabilities leveraging computer vision, speech, language analysis, and deep learning algorithms. Customers benefit from integrated, secure, and pay as you go ML capabilities delivered as fully managed solutions to meet their mission needs. The Machine Learning specialist driving value with its accelerator platform combined with a rapid discovery approach “Discover First Invest Later". Inawisdom's customers outperform the market by discovering wisdom from their data assets. As leaders in AI our Machine Learning solutions apply rich data engineering & data science capabilities, implementing advanced ML techniques. Inawidsom is a Cloud-native company with proven experience of the latest AWS ML offerings. Knowledgent helps clients strategically implement machine learning and artificial intelligence to achieve business goals and optimize current processes. Knowledgent is focused on innovating in and through data to impact our clients' business using Machine Learning, Artificial Intelligence, Robotics, and Natural Language Processing. Knowledgent's team of more than 300 Informationists is a pure-play data intelligence company with a focus on Healthcare, Life Sciences, Financial Services, and Commercial industries. Most recently in the Life Sciences industry we have worked with Celgene to utilize AI/ML to optimize clinical trials, and in the Healthcare industry we helped Healthfirst to utilize AI/ML-based analytics for member retention and acquisition, risk-modeling, and fraud detection. Novetta is a full-service provider of advanced analytics and machine learning solutions on AWS. Novetta provides advanced analytic and machine learning solutions on AWS. These include entity resolution, NLP, predictive modeling, image analysis, and sensor analytics. ML expertise ranges from data pipeline development to the implementation of cutting-edge deep learning frameworks and architectures. Pariveda Solutions co-create solutions with clients to solve pressing business needs. With AWS Machine Learning their ability to scale data and learn from insights has proven its worth to clients. Pariveda has successfully guided clients across many industries in making the journey to leverage Machine Learning capabilities at scale. They let business value drive the process from Ideation, through proof of concept, into market tests, and ultimately production. They leverage our proprietary frameworks and methodology to help clients understand the impact to their value chains, business processes, structures, and technology landscape as they co-create data assets. Peak helps businesses to leverage Machine Learning and AI to deliver business solutions that help them grow revenue and profits. They have unique subscription model where it's a fully managed service that is backed by our platform. Peak is the AI service for business, helping its customers to do great things with data. An Advanced APN Consulting Partner, Peak delivers data-driven insights on a continuous basis which accelerate growth and allow businesses to rapidly increase revenues and profits through the power of AI and ML. 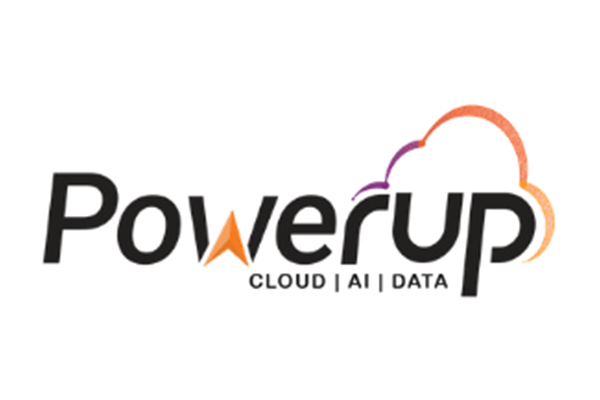 Powerupcloud has been building several machine learning engine over the past 3 years, helping businesses with extract rich insights from their data. Industry leading expertise in developing transformational applied AI solutions using next generation technology. Quantiphi is a category defining Artificial Intelligence software & services company focused on helping organizations translate the promise of AI into quantifiable business impact through perceptual task automation, cognitive interfaces and high frequency decision support systems. Relus's Machine Learning and Data & Analytics Practice helps customers tackle the challenges associated with huge data sets, structured and unstructured data and real-time responses. As an APN Premier Big Data Competency provider, Relus Cloud efficiently builds highly scalable, practical, and secure data platforms built with advanced analytics capabilities, including IoT, Artificial Intelligence and machine learning. Relus Cloud’s Data and Analytics Practice provides the expertise, tools and insight you need to create customer-centric, data-driven strategies that transform your business and create new avenues for growth. They build turnkey transformational data solutions as well as help get your existing team up to speed no matter where you are in your cloud journey. SFL Scientific is a data science consulting and professional services firm that provides rapid development and execution of technology solutions. They work with innovative companies to apply automation, AI, and machine learning tools in their business process. SFL Scientific designs, prototypes, integrates, and manages sophisticated systems by leveraging emerging technologies. Slalom applies machine learning for insights that are digestible, accessible, and actionable—insights that help you better understand and connect with your customers, innovate faster, and enable your employees to do their jobs better. Slalom has dedicated teams of seasoned technologists, business advisors, data scientists, and change practitioners driven by performing meaningful work. Slalom uses best in class practices and cutting-edge technologies in the following areas: Predictive modeling and data mining, Natural language processing (NLP) and sentiment analysis, Computer vision and Data science and machine learning. Digitalization enables companies and organizations to benefit from data and knowledge in ways that were not possible before. It is often possible to generate exact, measured data from processes, machines and use of services. Agility is Solita's leading principle. Solita helps you operate faster and lead your operations more accurately than before. Build a data warehouse in a day, create better insight in a week, and launch new micro services to your clients in a month. Squadex helps organizations empower data analysis and overcome data challenges by providing machine learning and artificial intelligence solutions powered by AWS. Squadex is an AWS Consulting Partner with proven expertise in building machine learning solutions powered by AWS. Squadex's goal is to help businesses overcome their data challenges and achieve their goals by enabling machine learning capabilities. TensorIoT, an AWS Advanced Consulting partner with AWS Machine Learning Competency, has a dedicated ML practice with strong data engineering depth. TensorIoT has also launched ML solutions, Babel AI and Rubix Edge, built on native AWS services to provide enterprises and startups with a robust and scalable machine learning foundation. These solutions help accelerate time to market while ensuring that all AWS well-architected tenets are adhered to. Xebia applies cutting-edge data technology to accelerate organizations along their data-driven journey. We are data specialists with applied experience in machine learning, deep learning, cloud, and scalable architectures. Xebia operates on 3 distinct principles: Authority, Focus and Values. These principles guide every decision made by both management and staff. Our data scientists are business minded, communicative people, with scientific backgrounds, and solid programming skills, who excel at working with cloud. Are You Interested in Listing Your Machine Learning Solution? Partners interested in listing their Machine Learning product or solution must have achieved the Machine Learning Competency through the AWS Competency Program. Note: All solutions on the Machine Learning Partner Solutions webpages are created, sold, and implemented by the third party.